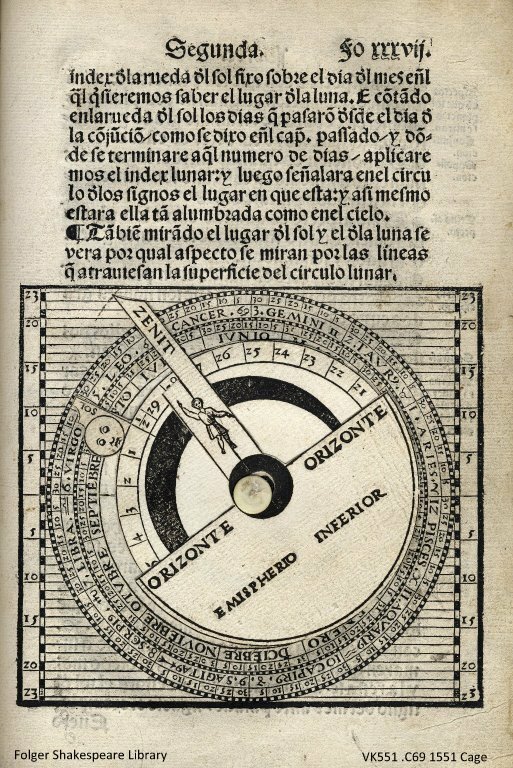 The volvelle is probably most familiar to us as a scientific instrument and, specifically, as a device used in astronomical calculations. 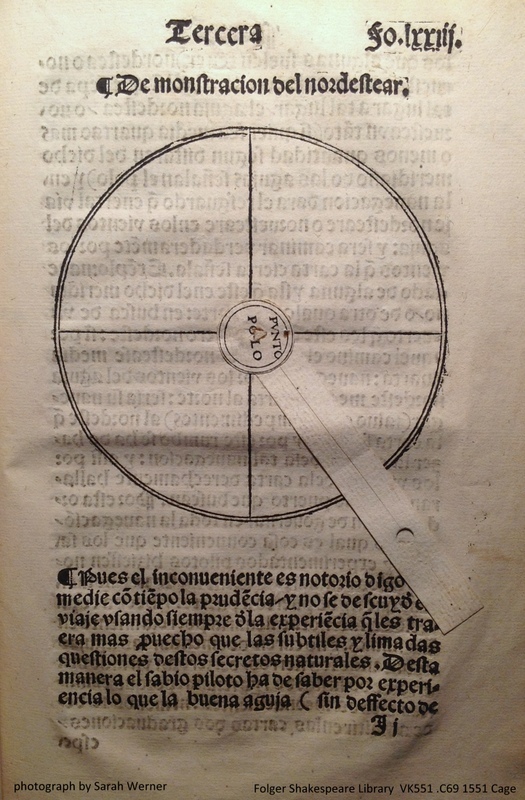 The source of the volvelle I featured falls into that category: Martín Cortés’s Breve compendio de la sphera y de la aite de navegar, printed in Seville in 1551, was one of the foundational texts for oceanic exploration. 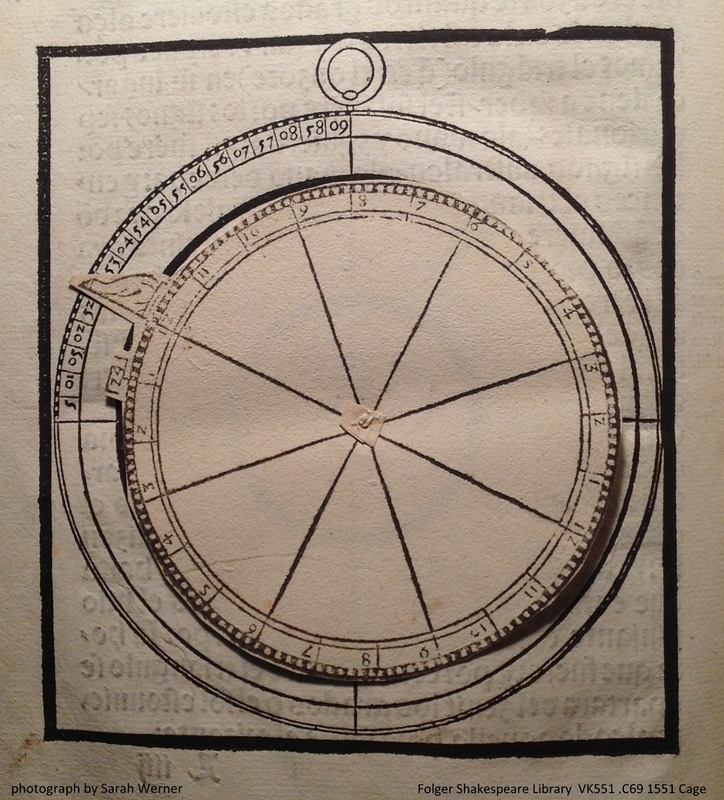 This volvelle is intended to help the user determine the position of the sun and the moon—turn the roundels so that their indexes (one for the sun and one for the moon) point to the appropriate days and the resulting information will provide their locations. You might notice that some of them look a bit odd. The third one (leaf 73r) seems to be incomplete and the index doesn’t spin, and some of them (especially the last one, leaf 113v) look as if the roundel might be a facsimile. I haven’t closely investigated them to see if that’s the case (one might seem some clues in a close examination of the paper). One of the things you might notice, too, is that the fastening is different—only the crocodile has the button fastener, while the fourth image above (leaf 83v) stands out for not being sewn in the same manner as the others. It wouldn’t be surprising if some of those featured replacement parts. Volvelles, like any other moving part of a book, are susceptible to wear and tear; in some cases, they are removed and repurposed. 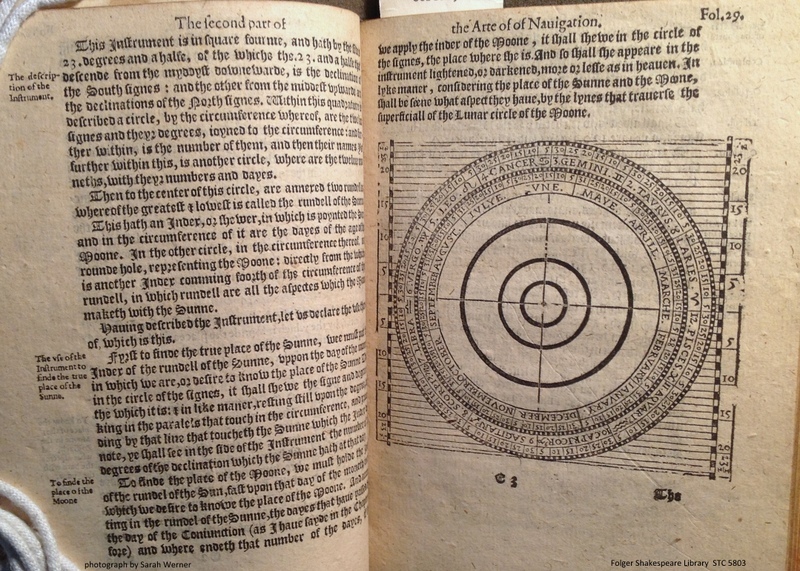 The following two images show examples from 1584 and the 1596 editions of the English translation of this work, one with the volvelle and one without (click on the images to enlarge in a new window). 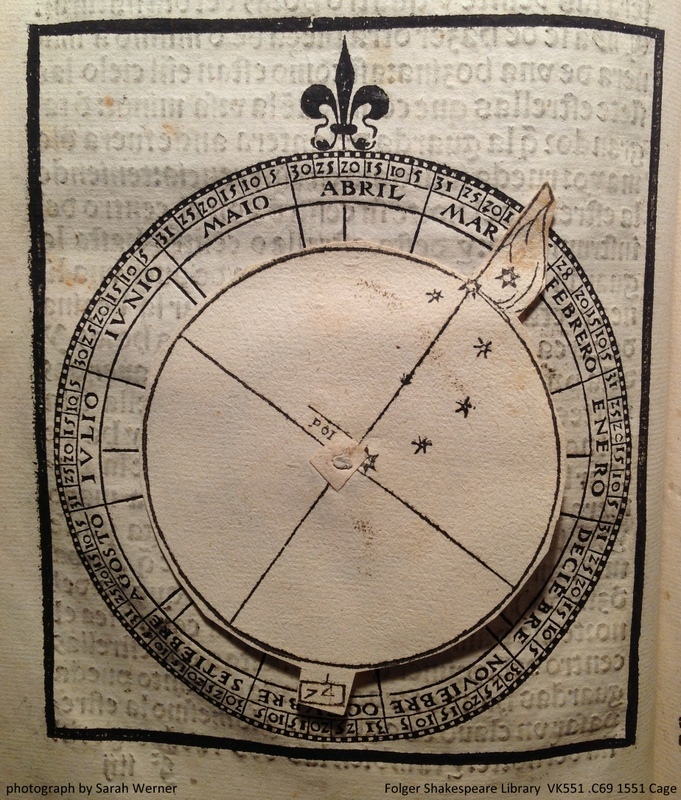 And many thanks to Whitney and to Chad Black for help in researching volvelles and in translating Cortés’s Spanish! 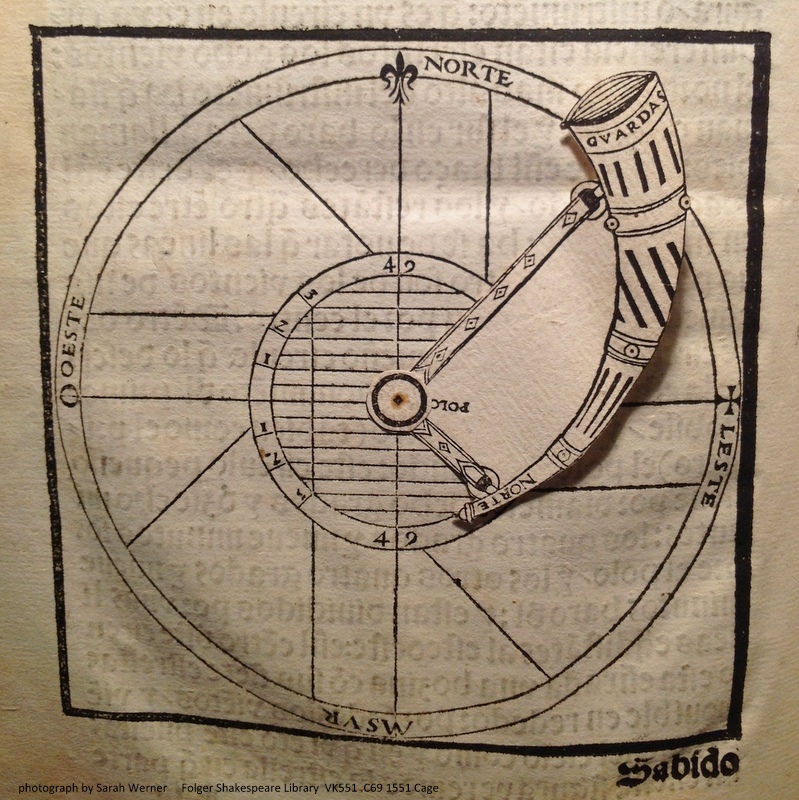 Drennan, Anthony S. “The Bibliographical Description of Astronomical Volvelles and Other Moveable Diagrams.” The Library 13.3 (2012): 316-339. Yes, that Drennan article is an eye-opener. If anyone is interested in more contemporary volvelles, there’s a great book titled Reinventing the Wheel by Jessica Helfand. Makes a lovely coffee table book, and you can learn about What Your Corn Can Do to Help Win the War (one of the more amusingly-named examples). 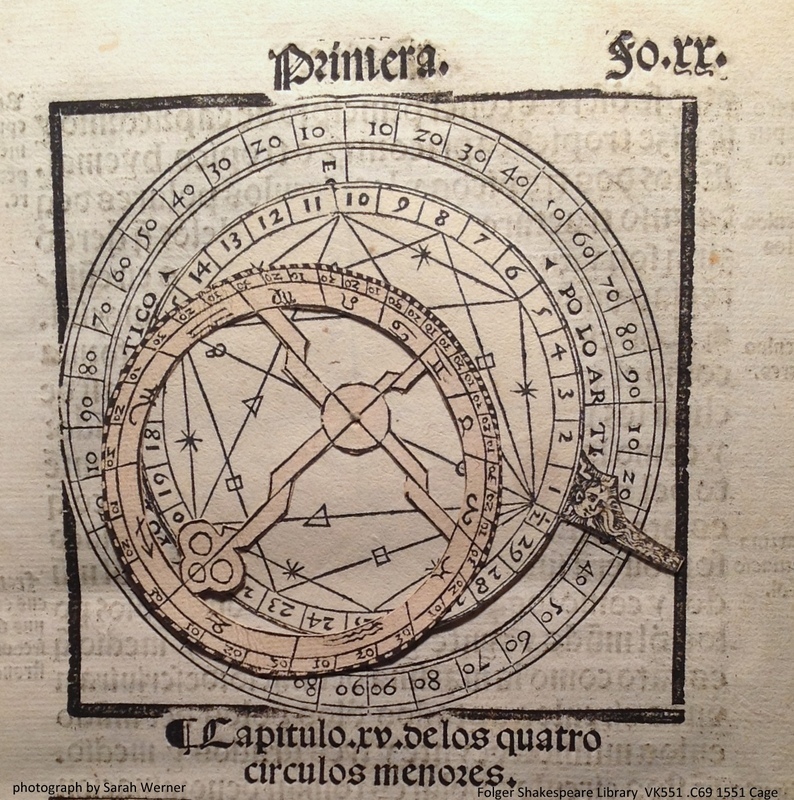 Peter Apian’s Cosmographicus Liber (over 30 printed editions before 1610) provides the best introduction to the capabilities of simple astronomical volvelles. 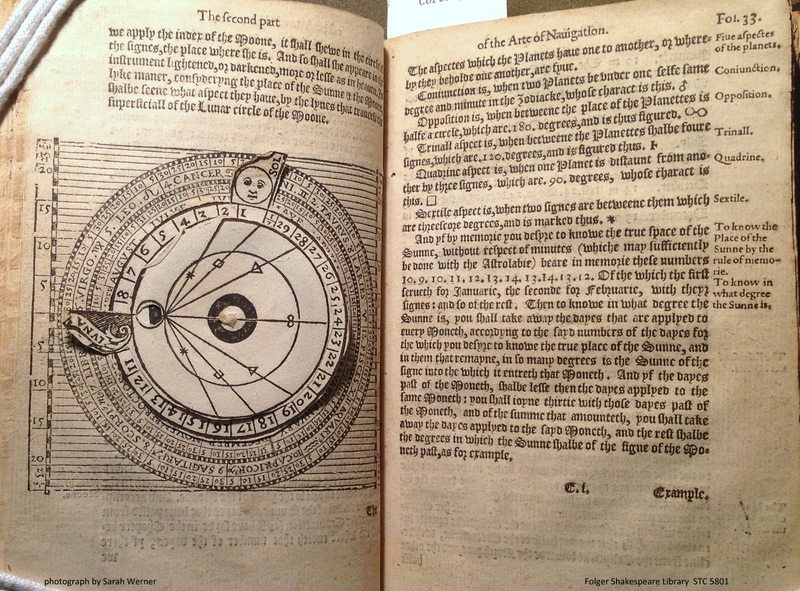 But beware, although his Astronomicum Caesareum has quite rightly been described in recent years as ‘the most beautiful scientific book ever published’, anyone trying to decipher its huge, spectacular and complex volvelle diagrams should heed King Lear when he said ‘that way madness lies’.